please confirm my participation for 4th phase of group parayan from 26th june. our Dwarkamai from Thursday, 26th June 2014. And as is the paradox of this world…the more you give, the more you get…!! and also indicate the completion of the Parayan POSITIVELY. and to overcome from various problems and to get peace & solace in their life. ITSELF, POSITIVELY, BETWEEN 0400 AM - 1130 PM (IST). Confirming chapter 2 undr grp 1. I confirm to read my chapters including other assigned. Thanks for considering me worthy to be part of this great initiative. May Baba bless us all n give us strength to sail through this worldly ocean with our undisturbed faith in Him. Baba we are at your mercy. Bless us all with your ever loving kripa dhriti and your over flowing love for all. I acknowledge to read chap 7 under grp 2. Thnku vry much fr including me in dis divine deed. I feel blessed. My Brother Mr.Ramakrishna is confirmed to participate in 4th Phase. Please allot the chapter this week. Tthank you for showing interest to participate in the SSC Group Parayan. May BABA bless you & your family with Health, Prosperity and Happiness! Thanks Admins and i confirm to read Chapter 21 as allotted tomorrow. i also confirm for Kalyani (Chapter 25) and brother Ramakrishna (18 & 19). i also confirm for Nirupa Narayani that she will read the Chapter allotted tomorrow. 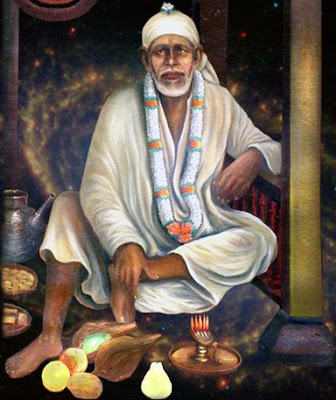 pray to Sai sincerely that many more know HIM, His Love and come to HIS Feet. I confirm to participate in 4th phase of group parayan & read my allotted chapters 16&17 on 26th June.Thanks for including my name in 4th phase.